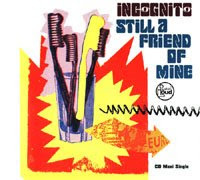 Incognito are a British band, widely regarded as one of the key members of the English acid jazz movement. Their debut album, Jazz Funk, was released in 1981, with twelve more albums following, the last of which, Tales From The Beach, was released in 2008. Throughout the band's history, it has been led and driven by composer, record producer, guitarist and singer, Jean-Paul 'Bluey' Maunick. Other notable band members have included the singers Tony Momrelle, Jocelyn Brown, Carleen Anderson, Imaani, Maysa Leak and Kelli Sae. Here is maxi cd "Still a friend of mine" taken from the album "Positivity". Click here to get Incognito!!! 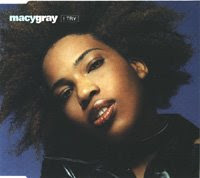 "I Try" is the second single from Macy Gray's debut album On How Life Is, released in 1999 internationally, but not becoming a hit in the United States until 2000. It was Gray's biggest hit to date. It peaked at number six in the United Kingdom, number five in the United States, and number one in both Australia, New Zealand, and Ireland. At the 2000 Grammy Awards, "I Try" won "Best Female Pop Vocal Performance", and was also nominated for "Record of the Year" and "Song of the Year". 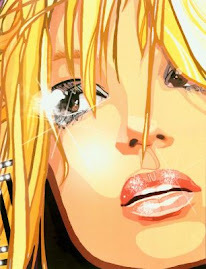 "I Try" was released in the UK on two CD singles including remixes and the B-side "Don't Come Around". Try to click here and get Macy Gray!!!! Jamiroquai is a Grammy Award-winning English acid jazz/funk/soul band. 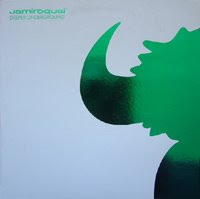 Jamiroquai was initially the most prominent component in the early-1990s London-based acid jazz movement, alongside groups such as Incognito, the Brand New Heavies, Galliano, and Corduroy. Subsequent albums have explored other musical directions such as, but not limited to, pop, rock and electronica. Jamiroquai has sold well over one million records in the United States alone. Here is promo 12 inch "Deeper underground" in a series of five reissues. 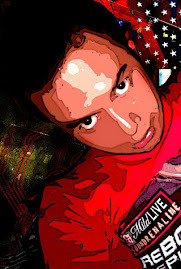 Click here for Deeper underground!!!! "Mambo No. 5" Maxi cd is here including four mixes. 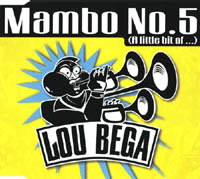 Click here to get Mambo No. 5!!! 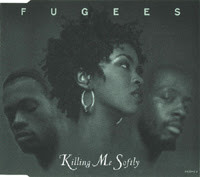 The Fugees won two 1997 Grammy Awards with The Score (Best Rap Album) and "Killing Me Softly" (Best R&B Vocal Performance by a Duo or Group). The Score became one of the biggest hits of 1996 and one of the best-selling hip hop albums of all time. 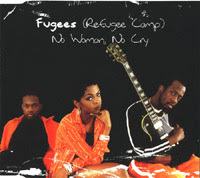 The Fugees gained attention for their cover versions of old favorites, with the group's reinterpretations of "No Woman No Cry" by Bob Marley & the Wailers and "Killing Me Softly (With His Song)" by Roberta Flack, the latter being their biggest pop hit. Here is Maxi Cd "No woman, no cry" with three mixes and live version of "Killing me softly". Click here to get Maxi Cd!!! The Brand New Heavies began in the 1980s as an instrumental rare groove group called Brother International. According to Simon Bartholomew, "We made a tape on 7 microphone on cassette and they played it, nobody stopped dancing... and the rest is history!" The group came up with the Heavies name after signing their first record contract, borrowing from a liner note on a James Brown single declaring the artist "Minister of New Super Heavy Funk". 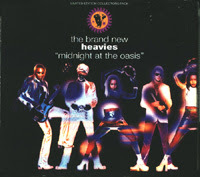 As The Brand New Heavies, they gained a cult following in the London club scene and soon signed to Cooltempo as acid jazz replaced rare groove in clubs. 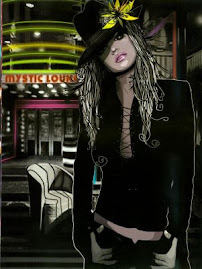 Here is UK number 13 Maxi Cd limited edition "Midnight at the oasis" with live versions of "Fake", "Back to love" & Ealing Broadway Mix of "Mind trips". Album "The Score" sold 18.040.445 copies and was number 1 in 1996 on Billboard 200, Top R&B Album and number 2 on UK Albums charts. Here is Maxi Cd "Killing me softly" including "Nappy heads (Remix)" from first album "Blunted on reality". Click here and get it!!! American UB40 or not? 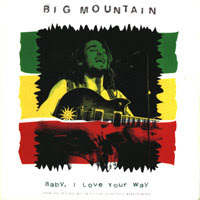 Big Mountain biggeset hit "Baby, I love your way" is next. Radio mix and spanish version on 7inch.